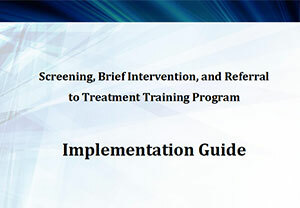 Provide SAMHSA’s SBIRT grantees with basic information, tools, and resources to implement an SBIRT training project. The information reflects the experiences of 17 grantees funded to develop SBIRT curricula and training projects for medical residents and allied health professionals. 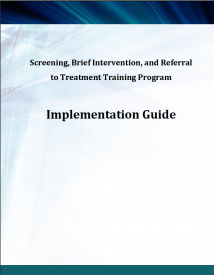 This guide provides general guidelines for four areas of SBIRT training project implementation: Project organization, Stakeholder engagement, Training plan development, Training implementation.